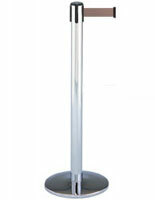 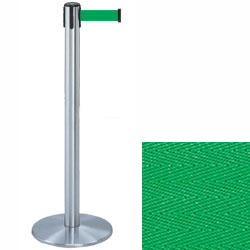 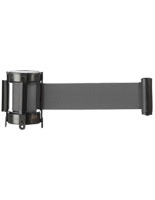 These silver stanchions with green belt feature a satin chrome finish that will blend in with any environment. 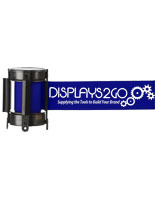 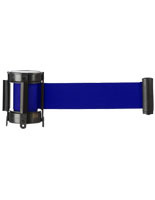 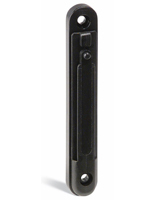 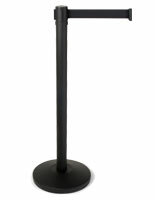 The posts come with a 7.5' long strap that allows it to create crowd control systems in banks, event venues and restaurants. The silver stanchions are great for creating barriers in high traffic areas with their weighted base that measures 13.5" in diameter. The stands are 38" tall and their belt measures 2" wide.